Friday 1130: sitting in my car at the base of the mountain. Slated to volunteer starting now. 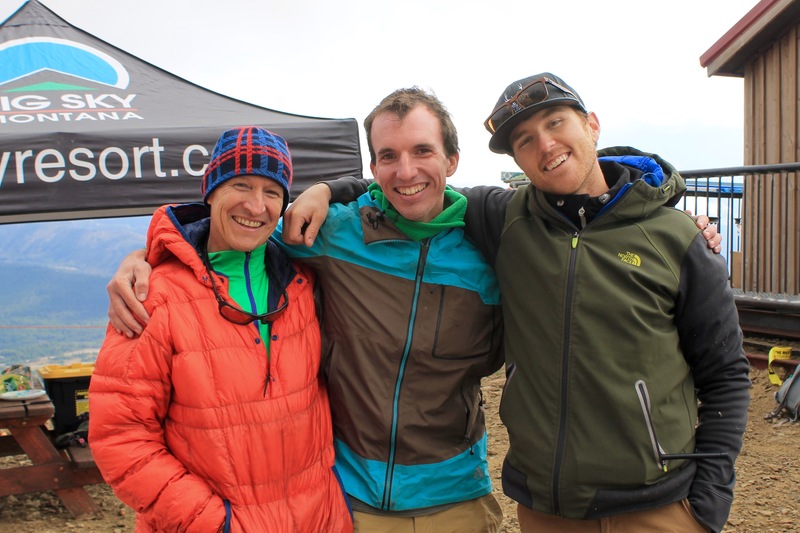 After one year of racing competitively I was still anxious about the race environment. Hundreds–not thousands–of people would be racing, but in Montana international elite athletes do not blend well into the general populace as they do in Chamonix. Here, their team jerseys and logo-wear pop against the colorless rocky climb of Lone Peak looming in the background. 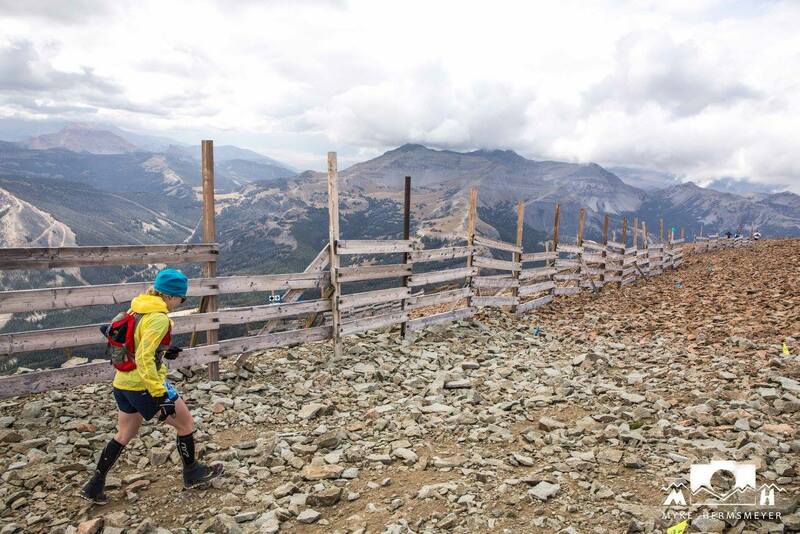 The Rut Mountain Runs at Big Sky Resort in Montana are part of the Skyrunning World Series, drawing competition from around the world. The night before, I’d camped in the Gallatin river valley. Restless, I couldn’t sleep but rain forced me from campfire to tent. The weather wasn’t looking promising. “The mountain doesn’t care,” said pre-race emails. 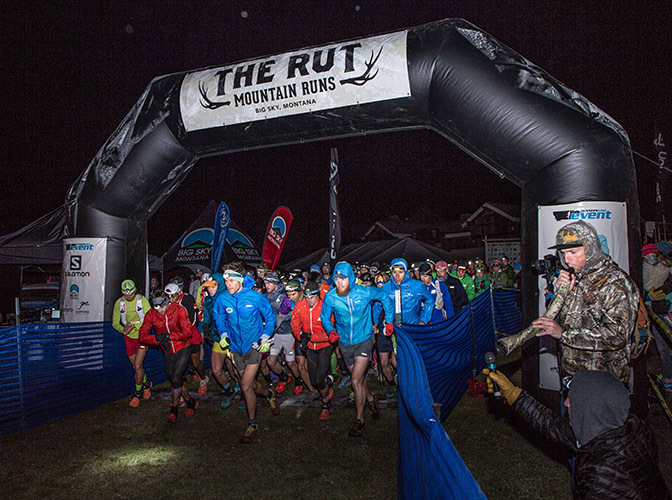 Four to seven inches of snow were forecasted Saturday night before the 50k with wind gusts up to 32mph. But there was work to be done and I had to go. The sun was shining. Johnny “Wasatch” Hart from Missoula appeared fortuitously in front of the packet pickup tent where I was headed. He planned to run all three races—VK, 25K, 50K—along with Emelie Forseberg, the best female mountain runner in the world—and a handful of other hearty individuals. Typical Wasatch left me pumped and smiling. 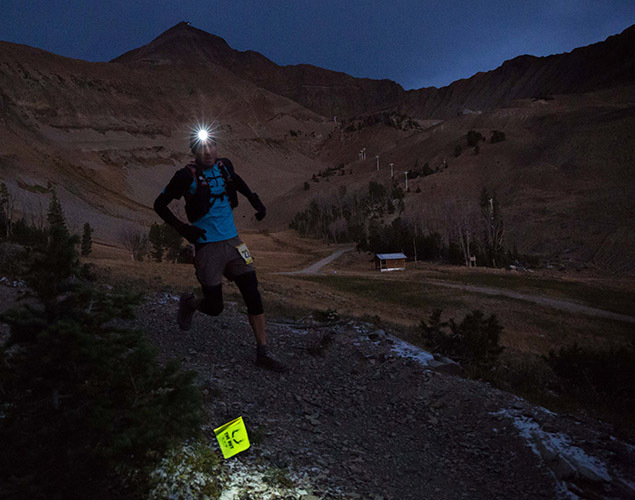 Volunteering at packet pickup was three hours of star gazing and catching up with Montana’s strongest runners. But starlet Anna Frost was tired. I could see it in her eyes. 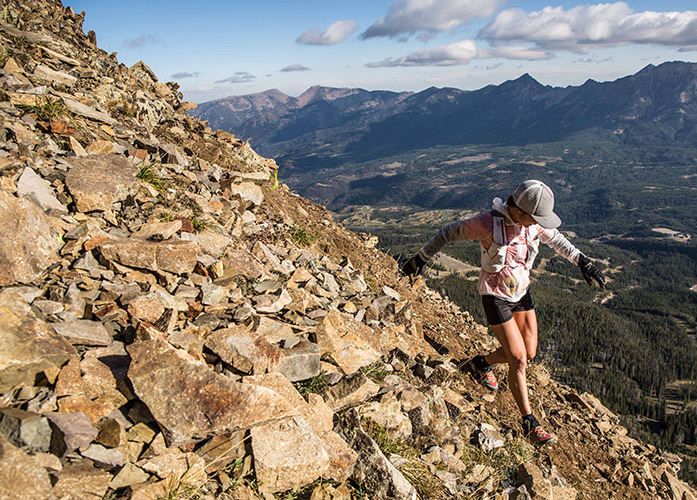 She’d run Hardrock 100 and Nolan’s 14 in the past 2 months. Her body was empty and nowhere near recovered. Yet she was here to support her friends and have fun with her team. I realized I had no excuses, and above all I was here to support my friends, several of whom would be running their first Rut. They’d be pushing their limits to finish, and I was excited to watch. The forecast for Sunday was steadily improving and race director, Mike Foote, explained at the pre-race meeting that barring miraculous weather changes the show would certainly go on. Sunday 0135. Wide awake, hungry, I made breakfast and went back to bed but couldn’t sleep. For the first time since Transvulcania, I was excited to race but calm at the same time. I felt ready but recited my splits on segments from 2014. I wanted to beat myself, and I knew I could. Sunday 0547. If I don’t go now, I won’t get to warm up. A first for me. Amusing myself I took a jog thinking, I used to laugh about people warming up before ultras. In the dark, I gathered amongst runners waiting for co-RD Mike Wolfe’s elk bugle. I was surrounded on all sides: Emelie in front, Hillary Allen to my right, Frosty just behind. I thought about my splits, and we ran. Mike Wolfe RD sounding the elk bugle to start the 50k. The Rut 2015 Photos for Competitor.com Web Gallery by Myke Hermsmeyer. 0600: For the first time during my foray into mountain racing, I tried to push from the start. But the leading ladies were all running together at a moderated effort. No way I was going to push their pace so I stayed behind Emelie and watched her run. It was a beautiful thing to witness first hand I suppose. She was wearing more layers than the rest of us. I didn’t know if she was planning to race or just finish the trifecta, but I wouldn’t let it affect my run. From the start though I felt strangely awful: coughing, heart racing with anxiety, and I worried I was too excited and backed off. For moments, I legitimately thought my 2015 Rut may soon end. For the past few months I’d been dealing with the inescapable, deep fatigue of what was clinically described as overtraining syndrome. My blood levels were okay, my energy levels were not. For me, it did not start with ridiculously large miles or severe dieting. In fact, I was running less than ever due to a torn ligament in my ankle. But the stress of international travel, working as many hours as possible, and getting little relief from financial stress had taken its toll. I was forcing this, but I loved the Rut and I wanted to run it again. Suddenly, we were bottlenecked. My thoughts came back to the present, and again I focused on last year’s splits. The whole lot was forced into a single track and we were standing still. We hiked in spurts and I listened to guys around me chat and joke around. I worried that I was locked into a crappy pace. The previous year I’d lost ten minutes to Emelie in this first section. Soon, we topped out, and I checked my lap time. I was right on pace with last year, and the previous year that section was shorter and more direct. John Fiore running near daybreak with Lone Peak in the background. The Rut 2015 Photos for Competitor Web Gallery. Photos by Myke Hermsmeyer. The first downhill I took carefully and worked to stay efficient. As the sun rose, I was passed by eventual 3rd place female Martina. But with my ankle injury looming I couldn’t push. I wouldn’t finish if I torqued the damaged ligament. We rambled around the fun 5-mile Ulery Lake Loop of rollers and winding single track. I ran partially with friend Meaghan Brown—eventual 6th place female. When we got back to Moonlight lodge I hit my lap button: 2-min faster than last year. Good sign, I thought before heading up Elkhorn, a short climb of runnable switchbacks. At the top, I hit my lap button: 2-min faster than last year! All my focus was now on these splits. And we turned toward headwaters ridge. Headwaters ridge looks like a bats wing with the trail sitting on the arm above curtains of loose shale and gravelly slough. At the far end, Challenger lift shack looms at the top of spindly fingers of black diamond slopes, precariously exposed to wind from every direction. 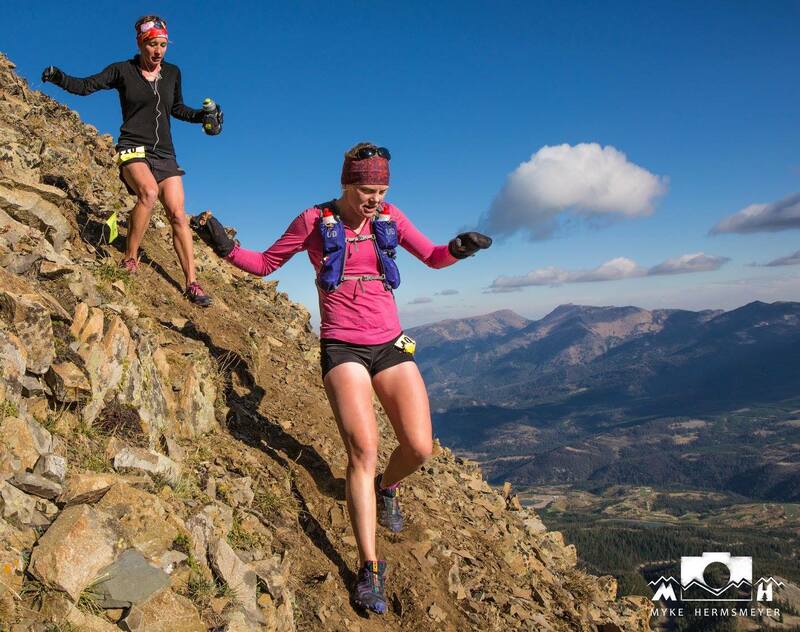 Meghan Brown (left) descends part of Headwaters Ridge. Photo: Myke Hermsmeyer. Climbing up to nearly 9500-feet elevation, everyone was silently working to gain purchase with each step. On the ridge, sun in our eyes, we glided along shale loosely dusted in powdery snow—an omen this season will soon end—until we dove down a slick, direct descent. At the bottom, I hit the lap: 2.5-min faster than last year. Portion of Headwaters Ridge. Photo: Myke Hermsmeyer. By the time I made it to Swiftcurrent, Seth Swanson of Missoula gave me a high-five and told me I was in fifth just 2-min behind 3rd. I rolled my eyes and laughed embarrassed, thinking he was just trying to get me going. My friends Lee Macholz and Peder Anderson were also there helping me in aid, echoing what Seth said. On the climb, sure enough, two women were within sight. I was a bit amused that I found myself in the same position as 2014 when I watched Hillary and Ellie Greenwood make it up this climb together in fourth and fifth. I was gaining slightly on the two this year, but Bonecrusher is too severe to make up much time. Lone Peak rises several thousand feet in a couple miles to the thin air of 10,500+ feet elevation. I hit my lap key at the top: over 2-min faster than last year. 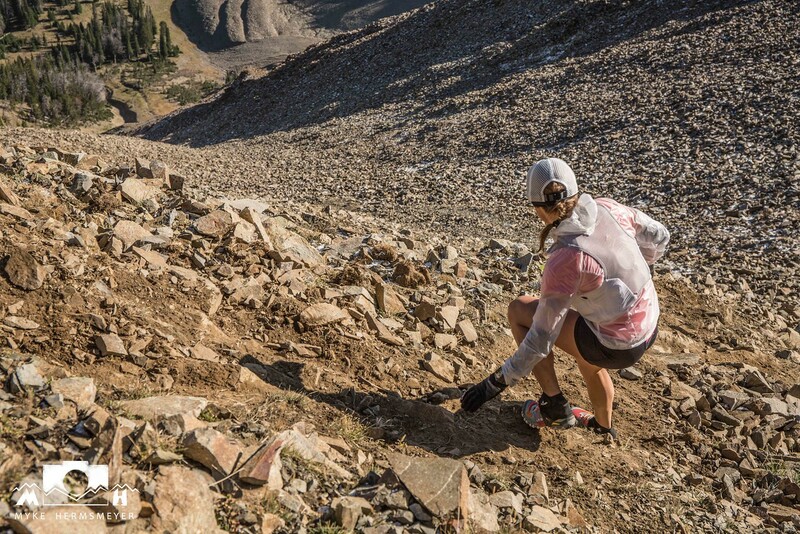 Soon I passed one of the girls, Anna Mae Flynn, picking her way through the rocks. 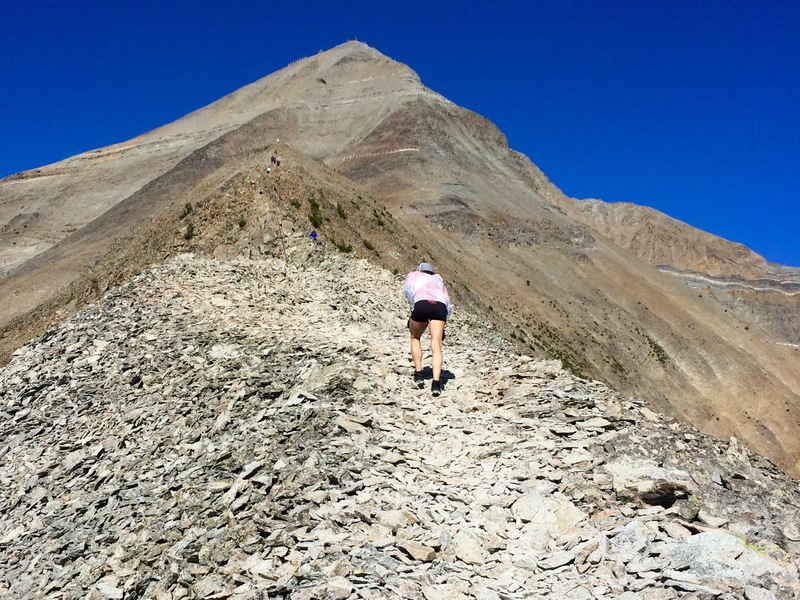 The descent is just as difficult as the climb, starting on loose piles of large rock, and giving way to steep dinner-plate sized shale and gravel. Finally at the bottom, runners make way around the base of a large moraine, boulder hopping before getting on some solid ground. I hit my lap key again at the bottom, by Dakota lift: 5:15 faster than last year. The largest improvement in any segment of the race for me, even after spending weeks not being able to run anything steep without lasting pain. From Dakota lift to the top of Andesite I ran out of water and the heat was worse than I’d expected. Friends told me then I was only 3-min from the third place woman, Martina. 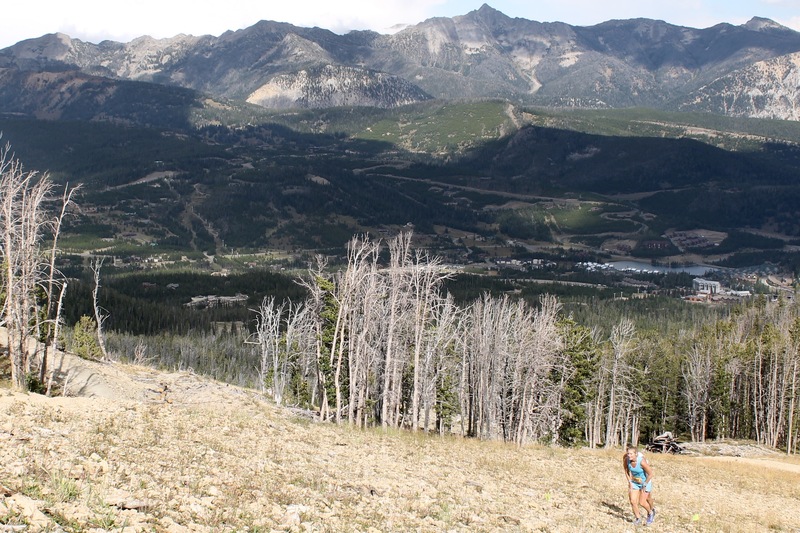 The last 5-miles from Andesite peak to the finish is all runnable, mostly single-track mountain bike trail. But I was flagging and dehydrated, and a bit miffed I was unable to close the gap. 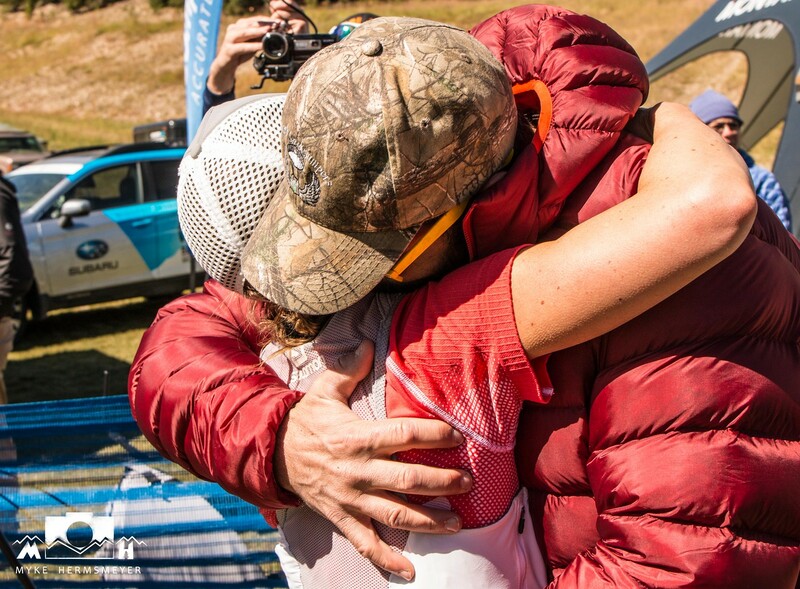 I got an enormous boost from friend, Nikki Kimball–our best Montana female ultra runner–who was out cheering on friends in the final miles. As I crossed the finish line, I was ecstatic. 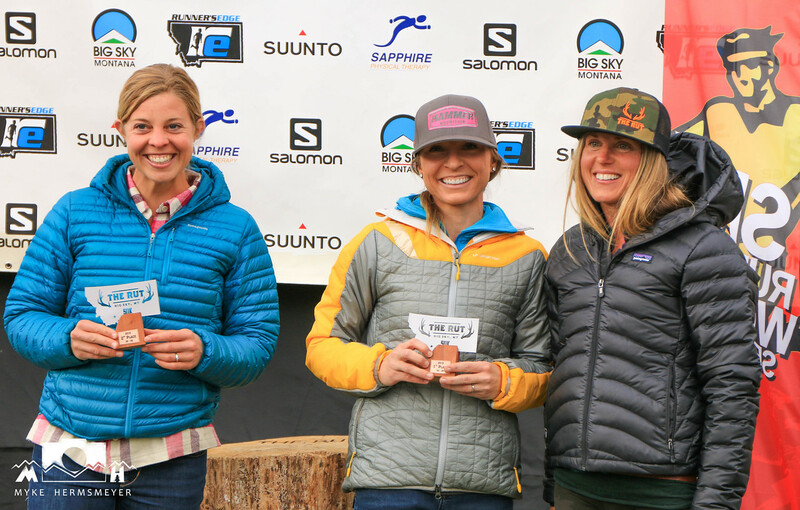 I finished in 4th place, as the 2nd American woman, 3-minutes from the podium, and 22-minutes faster than 2014. My greatest accomplishment was improving on almost all my 2014 splits, including the most technical downhill of the race. Later, I learned my finish qualified me for the USATF Long Distance Mountain Running Team for the 2016 world championships in Slovenia. In retrospect, I know my endurance has declined slightly since running about half volume these past weeks and avoiding all long or demanding runs in the mountains to let myself heal. My downhill running, even on smooth ground suffered. Twice a week for over a month, I did most of my speed sessions on an underwater treadmill at Frenchtown Physical Therapy to let my ankle heal as much as possible. I rested when I felt tired, to get past overtraining syndrome. But my daily rehab routine improved my overall lower extremity stability which was essential to being able to run this race. 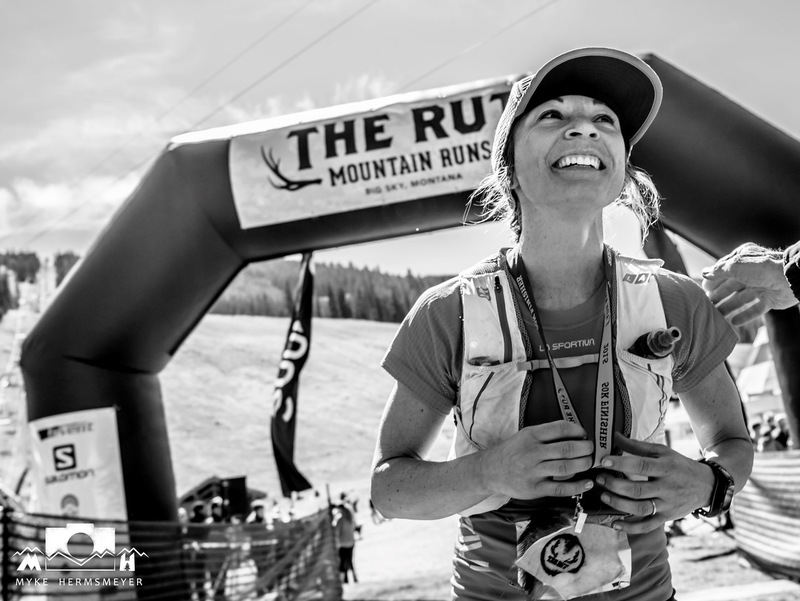 My biggest struggle at this race was overcoming my lack of confidence resulting from injury and fatigue. Just showing up to this race was tough. As Mark Twight would say: the mind is primary. If your mind is not in the game, there’s no way to drag your body up a mountain. But focusing on my own race helped me play my best hand with the cards I was dealt. Likewise, I was able to be pleased with my finish, without having the external satisfaction of standing on a podium. Don’t let the results of others fool you out of appreciating your own growth. Fourth is not the first loser. Huge thanks to my physician, Dr. Rob Amrine of Missoula Bone & Joint Surgery Center and Sports Medicine for helping me make good decisions regarding overtraining symptoms and rehab for my ankle; my physical therapist, favorite training buddy, and one of my best friends, Max Bartlett, DPT, CSCS for helping me stay positive through the restricted training; my coach, Ellie Greenwood for being absolutely instrumental in helping me maximize my training to improve on last years times, while letting my body heal; my number one fan & husband Andrew Pattison, for believing in me and helping me believe in me too; and to everyone who made it out to the Rut and kept me going with your cheers—you made it another unforgettable day! 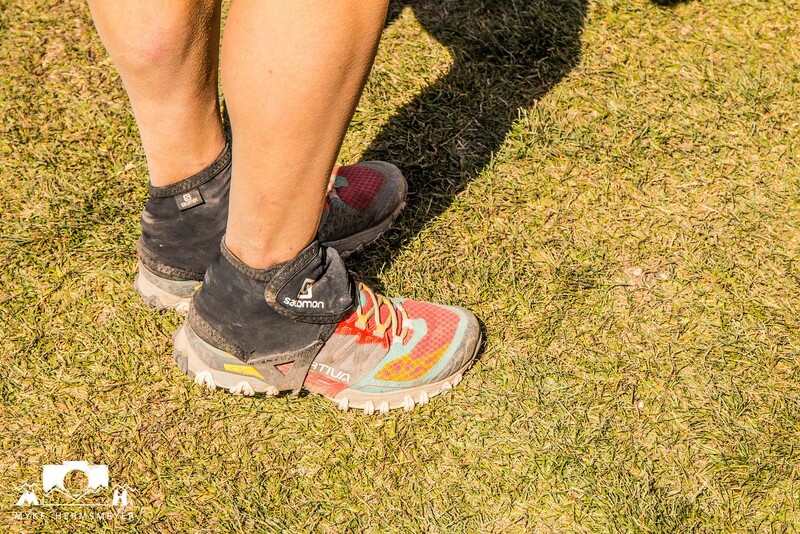 Especially the girls from Montana Trail Crew who rocked the races for the first time—I’m so proud of you. The Rut 2015 Photos for Competitor Web Gallery. Photos by Myke Hermsmeyer.